Something unheard of since Tea-Publicans took control of Congress in January 2011 occurred on Thursday. A few days after the chaos of a failed vote to fund the Department of Homeland Security, Speaker John Boehner asked for a meeting, alone, with House Democratic Leader Nancy Pelosi. Compromise was on his mind. With automatic cuts to doctors under Medicare set to take effect at the end of March, Boehner (R-Ohio) wanted to explore the possibility of a deal that would end the Sustainable Growth Rate (SGR), and with it a problem that has dogged Congress for nearly two decades. The March 4 meeting in Pelosi’s (D-Calif.) office on the second floor of the Capitol was brief, lasting only 11 minutes. But on the central question that has for years thwarted deal making between the parties — whether to raise taxes — Boehner got the answer he was looking for. Democrats would not insist on tax hikes in legislation ending the Medicare formula, Pelosi told Boehner. “That was, from our point of view, the breakthrough,” said Michael Steel, a Boehner spokesman. Democrats say the Medicare package is on an entirely different scale than the $4 trillion deficit-reduction package that President Obama and Democrats sought to negotiate with Republicans in 2011. Those talks broke down over the question of raising taxes, with both sides leveling bitter accusations over who was unwilling to bend. Democrats view it is a victory that two-thirds of the deal is not paid for, that it includes priorities like funding for the Children’s Health Insurance Program, and that Boehner did not insist on cuts to health programs that they thought would be harmful. On Thursday, three weeks after the Boehner-Pelosi meeting, the Medicare deal passed the House in an overwhelming, bipartisan vote of 392-37. President Obama has said he is ready to sign the bill, which would lift the threat of payment cuts to doctors who treat Medicare patients. Senate Majority Leader Mitch McConnell (R-Ky.) expressed confidence Friday that it would clear his chamber. “We’ll move to it very quickly when we get back,” he said. [Mitch McConnell opted to leave town without acting on it. “I want to reassure everyone … we’ll move to it very quickly when we get back,” Senate Majority Leader Mitch McConnell (R-Ky.) said, adding he expects it will pass the Senate.Senate Minority Leader Harry Reid (D-Nev.) said he was “disappointed” the Senate wouldn’t take up the legislation Friday morning after voting on the budget. The foundation of the agreement, aides say, was laid long before the crucial meeting of the leaders this month. Early last year, leaders in both parties on three key committees — Senate Finance, House Ways and Means and House Energy and Commerce — came together to propose a bill to repeal the SGR. Their plan replaced the cuts with modest pay increases and benchmarks to shift the payment system so that it incentivizes quality of care instead of quantity. While the framework became the core of this year’s package, it stalled in 2014 over the question of how to pay for the changes. Early this year, committee leaders asked House leadership for parameters they could look at on how to pay for SGR repeal. Boehner and Pelosi’s healthcare staffs began meeting in early February, laying the groundwork for the two leaders’ meeting in March. On March 19, Sen. Ron Wyden (D-Ore.) released a statement warning of an “abortion policy rider” in the package that could be objectionable. Pelosi’s office sprung into action. The language in question, which relates to the Hyde Amendment, already bars federal funding for abortions at community health centers under an executive order, aides argued. With those objections threatening the deal, Pelosi, working with the House Pro-Choice Caucus, by Monday night had secured additional language making clear that the Hyde language expired when the funding did. Republicans checked to make sure that the language was just continuing the status quo in their eyes, and agreed. Attempting to assure her caucus, Pelosi told Democrats Tuesday morning that she would leave Congress before ever voting to codify the Hyde Amendment, and that the bill did no such thing. Reps. Diana DeGette (D-Colo.) and Louise Slaughter (D-N.Y.), who co-chair the Pro-Choice Caucus, released a statement backing the bill that same day. Asked why he chose to negotiate with Democrats, rather than moving through a bill with only Republican votes, Boehner said he seized on an opportunity to negotiate in a bipartisan way on the spending offsets. Senate Democrats will push for four years of funding for CHIP, rather than two. Given the overwhelming bipartisan vote in the House, if this change to the bill passes the Senate, it will also pass the House as well. This will bring to an end two GOP hostage situations this year: the “Doc fix” and CHIP funding. GOP leaders must have made a strategic decision to focus on the federal debt ceiling, and the federal budget and appropriations bills later this year. UPDATE: Here is a link to the roll call vote on HR 2 (Roll no. 144). Only 4 Democrats voted against this bipartisan compromise bill. Every member of the Progressive Caucus, with the exception of Rep. Jerrold Nadler (D-NY), voted in favor of the bill. First, I apologize for the snark. I really do think the world of you, Bob, and the others, for all of the fabulous work you do. However, I received an email from Physicians For a National Health Plan voicing opposition to this fix. It appears the devil is in the details. Please read below, this is directly from their website. It does make sense. 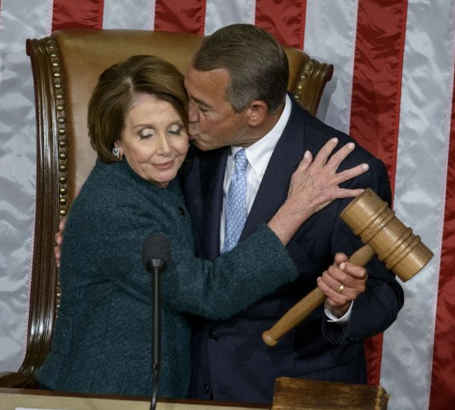 Besides, how can Pelosi and Boehner *both* be right about this. Thank you, I am interested in your thoughts on the points below. 1. Limit choice of physician in traditional Medicare. Physicians in traditional Medicare would be subject to onerous new documentation requirements for payment and financial incentives to avoid complex patients under the proposed “Merit-based Incentive Payment System.” The additional paperwork burden will push physicians to stop seeing patients with traditional Medicare, retire, avoid older and sicker patients, or go to work for large organizations using “alternative payment models” (which are exempt from the requirement and more likely to have contracts with private Medicare plans). 2. Reduce access to care in traditional Medicare. Imposes a deductible that cannot be covered by Medigap insurance (starting in 2020) to encourage patients to join a private plan. The current Part B deductible is $147 annually, although that figure has been rising in recent years; 95 percent of traditional Medicare beneficiaries have supplemental insurance that covers the deductible and other cost sharing in Medicare. The only way to avoid the deductible in the future will be to join a private Medicare Advantage plan. 3. Raise Medicare’s costs by driving more patients into private Medicare Advantage plans. Private plans have already cost Medicare an excess of more than $282 billion since 1985. Mandatory deductibles and reduced access to physicians in traditional Medicare will drive more patients into private Medicare Advantage plans, which are more costly than the cost of caring for patients in the traditional fee-for-service program. Although Obamacare was supposed to reduce the amount the private plans are overpaid (the “Medicare cuts” in Obamacare), these have been mostly offset by “adjustments” and “quality awards” by the Department of Health and Human Services. 4. Undermine Medicare’s popular support by requiring higher income seniors to pay higher premiums (means testing). Under means-tested premiums, higher-income individuals will be required to pay larger premiums, undermining the support of this influential group for Medicare program. Although the income subject to extra premiums is high, it can always be reduced in the future. 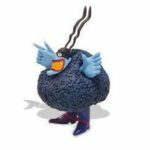 Read the fine print, AZ Bluemeanie. This us a Trojan horse for Medicare privatization. You are asleep at the wheel. And I thought you guys were so smart. In what way? Explain yourself with details.